Very rarely does a driver walk into a dealership and use cash to purchase a new Toyota car, truck, or SUV. Many of our customers choose to finance their new or pre-owned vehicle from our Toyota dealership in Braintree, MA. When you use our Toyota auto finance department for an auto loan or lease, you'll get access to the best finance and lease incentives and specials we can offer. Before you visit our auto finance department, you'll need a vehicle to finance! Take a look at Toyota of Braintree's new Toyota vehicle inventory and pre-owned vehicle inventory. 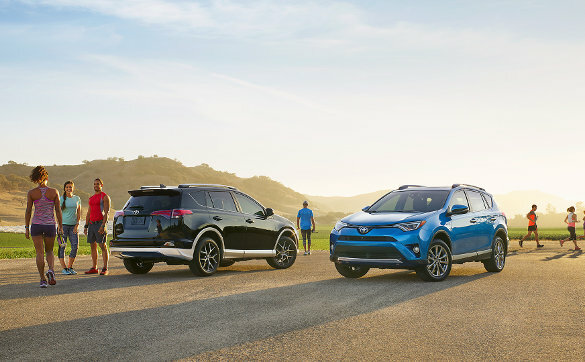 It doesn't matter if you're looking to lease a new Toyota Camry or finance a pre-owned Toyota Highlander. The Toyota auto finance department in Braintree, MA is here to offer the information and options that you require to get behind your next new - or new to you - Toyota car, truck, or SUV. Our auto finance team can direct you to the latest Toyota lease deals to help you save as much as possible. New college graduates are in luck with our College Grad Program, which assists them in purchasing a new Toyota model. Here at Toyota of Braintree we offer several tools for our customers to use throughout the auto finance process. At our Toyota dealership in Braintree, MA, Toyota auto financing is simplified to get you into the car, truck, or SUV you deserve. Fill out our online finance application from the comfort of your own home. Before you do, you may want to check out our credit score estimator to see where you stand. And if you're wondering how much your monthly payments will be on the Toyota Corolla trim package you've chosen, use the payment estimator to clear up all your questions. Braintree, MA area customers that would like to gain some extra monetary assistance for purchasing a new car can get an estimate on their old vehicle's trade-in value with our Value Your Trade tool. Supported by Black Book®, you'll get the estimated value based on your vehicle's condition, model, and other factors. Our auto finance department professionals at our dealership in Braintree, MA are here to answer any questions and provide you with relevant information you need to make the best decision possible. For assistance, get in touch with our team through our online contact form, by phone at (781) 848-9300, or visit Toyota of Braintree during business hours.